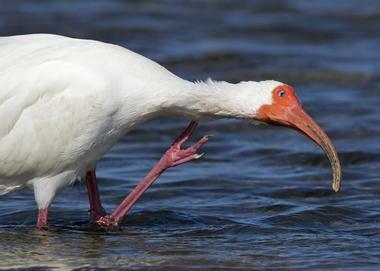 When many people think about the Florida Keys and its many beaches, they think of sandy beaches stretching for miles. This viewpoint, however, is typically inaccurate for a lot of the beaches in the keys. The Florida Keys contain more coral reefs, offering amazing opportunities for scuba divers and snorkelers but also preventing the sand build-up and erosion that usually create natural sandy beaches. Fortunately, there are several beaches that are sandy, though their sand has to be imported every couple of years, and vacationers can still find many great beaches on the different keys that provide plenty of sun and water-filled fun. 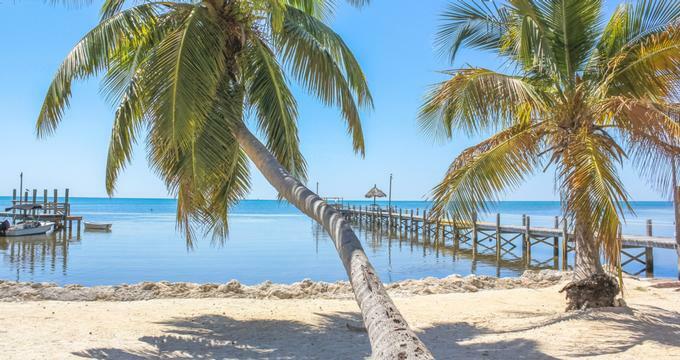 Anne’s Beach is a beautiful beach in Islamorada in the Florida Keys and is a great beach destination for a vacation full of fun, or a place to simply relax and unwind. 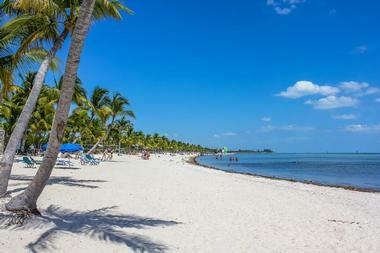 Anne’s Beach, located on Lower Matecumbe Key, is also known as Islamorada Beach. It gets its name for being dedicated to Anne Eaton, a local environmentalist. There is a shallow area for swimming, a boardwalk, bathrooms, two parking areas, and covered picnic tables. Due to the calm and sheltered shallow waters, there are almost no waves. The water is warm and clear throughout the entire year, offering fun even in the winter. 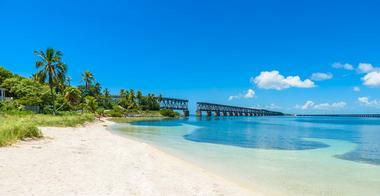 Bahia Honda State Park features an award-winning beach and is often considered one of the best beaches within the Florida Keys. 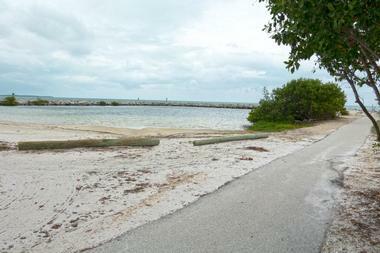 Three separate beaches make up the park, including Calusa Beach, the smallest of the three. 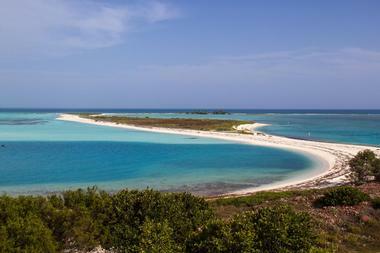 While it may be small, Calusa is also the most popular due to being the best choice for swimming and snorkeling. Calusa Beach is also where all of the concessions are, along with a souvenir shop, a marina, picnic shelters, and a nature center. With the new bridge and the old bridge converging in the background, it is the most photographed beach as well. 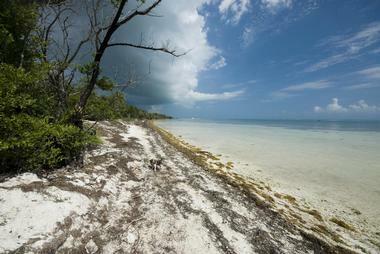 The largest uninhabited piece of land between Big Pine Key and Key Largo is Curry Hammock State Park. This state park protects and preserves large expanses of mangrove swamp, seagrass beds, and rockland hammocks, which are vital to the ecosystem of the Florida Keys. The protected, shallow waters mean that fishing, kiteboarding, windsurfing, paddleboarding, and kayaking are all popular activities among visitors to the park. Hiking is another enjoyable activity at Curry Hammock, with a somewhat difficult trail traveling through the park’s bayside hammocks. There is also camping at the park, including a campground with 28 sites on the oceanfront. Harry Harris Park, found on Key Largo in the Florida Keys, is a very family-friendly park and a great place for families to come and spend a day in the sun. 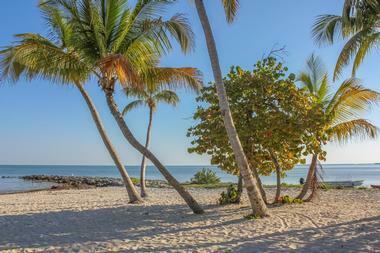 Similar to the majority of other beaches across the keys, the beach at Harry Harris Park is a man-made one. The sand on the beach is shipped to the park every few years to provide it with a tropical feel. The beach is rather small, but is provided protection by a stone jetty, making it safe for children. The park contains nice restroom facilities, a playground, picnic tables, and more. Higgs Beach on Key West is located just down the street from Smathers Beach. Officially known as the Clarence S. Higgs Memorial Beach, Higgs Beach is a sandy beach shaded by coconut palm trees and features a wooden pier that visitors can walk down. There are also several pavilions at the beach, along with a restaurant on the oceanfront and a volleyball net in the sand, offering quite a laidback atmosphere. The white sand found on Higgs Beach is imported every couple of years from the Caribbean, providing soft sand for beach games or a stroll along the shore. Situated at the heart of Bahia Honda State Park, Loggerhead Beach features a submerged sandbar that emerges from the water during low tide. 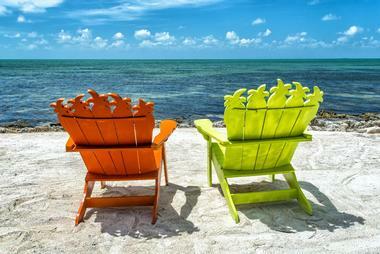 Sunbathers often set down folding chairs and coolers on top of the exposed sand hills as well as wade out into the shallow blue water to try to find sea glass and shells. Loggerhead is one of three beaches found within the park that boast some of the most crystal-clear waters around. Bahia Honda is also home to more than 150 different types of flora and features three hiking trails that travel through hammocks of tropical hardwood. 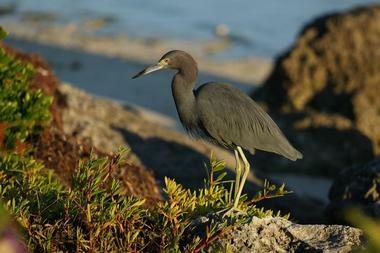 Long Key State Park offers visitors a chance to fish the park’s famous flats and spend a night in its full-service campground. There are 60 campsites along the oceanfront offering ocean views of the picturesque blue waters. Those who only want to spend the day at Long Key can fish the flats as well or take part in some hiking, swimming, kayaking, birdwatching, or snorkeling. Guests can also enjoy a picnic: Grills and picnic tables are available near the shoreline. Visitors can bring their own kayaks or rent one at the park’s ranger station to explore the series of lagoons. Rest Beach, also known more properly as C.B. Harvey Rest Beach Park, is a relatively narrow beach that seems to be quite popular with visitors who want to bring their dogs. The large White Pier situated at this small beach offers coastal views of the southern area of Key West for those who walk out onto it. 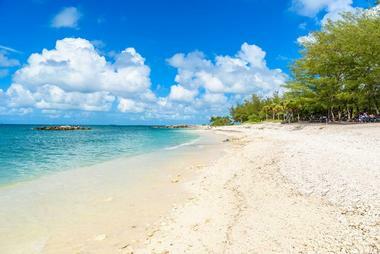 There isn’t much to Rest Beach as it doesn’t stretch for miles along the shore of Key West as other beaches nearby, and it doesn’t really offer much in the way of activities. It does, however, have some great photo opportunities of the shoreline. The third beach of the three found inside Bahia Honda State Park, Sandspur Beach is a beautiful sandy beach and a favorite one as well. 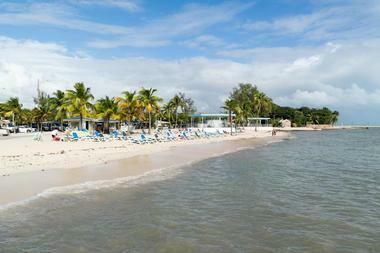 It boasts pristine sand, warm, calm waters, a sub-tropical climate, and a laidback atmosphere. The beach, situated at the park’s northeastern end, is often considered to be a paradise for anyone who loves to just spend a day in the sand. Sandspur Beach includes restroom facilities and picnic pavilions nearby, which are located in a perfect setting for enjoying a picnic. Visitors may find it simple to get lost within the beauty of the beach. 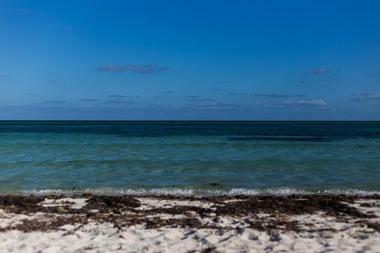 Smathers Beach on Key West is the type of beach most visitors hope for during their vacation to the Florida Keys. The beach boasts plenty of sand, a variety of activities, and an assortment of restaurants close by in case visitors get hungry during their time in the surf and sand. 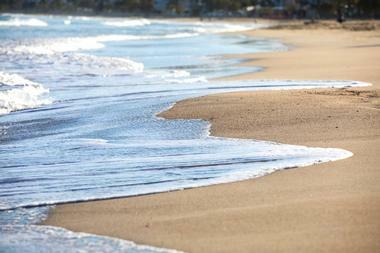 At more than 2 miles in length and around 40 yards wide at most, the sandy beach is great for a morning jog. Visitors can find companies nearby offering an array of watersports for any guests, such as windsurfing, sailing, paddleboarding, kayaking, parasailing, and more. 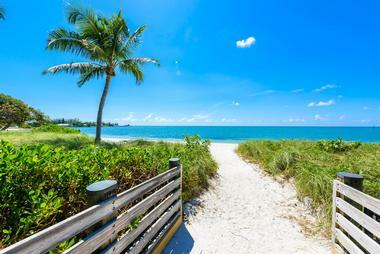 Sombrero Beach, situated in Marathon, Florida, is a sandy beach and a beautiful park with complete ADA accessibility. The sandy beach is located along the Atlantic side of the Florida Keys and features a park with plenty of shade that includes picnic pavilions, showers, bathrooms, and volleyball courts. The park also has some playground equipment and swings for kids. It’s worth noting that Sombrero Beach is a turtle nesting beach, and during the active nesting season for turtles, human activity is limited within the vicinity of nest establishments. These turtle nests, however, usually take up no more than 10% of the beach. Zachary Taylor State Park was established in 1973 and is the southernmost state park in Florida, popular for its history with the United States military and recreational activities. Visitors can join one of the daily guided tours of Fort Taylor as a break from the beach at the park’s southern end, which offers fishing, snorkeling, swimming, and space for picnics. There is also bicycling and a relatively short nature trail within the state park. The Cayo Hueso Cafe, located at the beach, offers cold drinks, snacks, souvenirs, and beach sundries. The fort was built in the year the year 1866.